1. 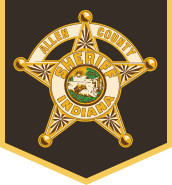 Outgoing mail will not be inspected, censored, delayed, withheld or otherwise circumvented unless reliable investigative information shows that the security and safety of the Allen County Confinement Center inmates and staff are at risk. 2. There is not a limit to the number of letters or greeting cards that an inmate may send from this facility at his/her own expense. 3. 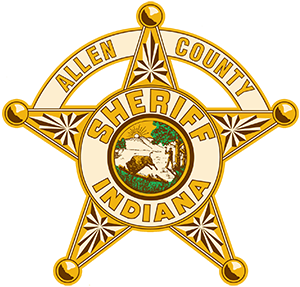 Inmates at the Allen County Jail are allowed to correspond with inmates from other facilities and other inmates from within the Allen County Jail. All inmate to inmate correspondence is required to be mailed and delivered through the US postal service. 4. There is no restriction on the number of letters an inmate may receive. 5. The inmate may elect to keep up to fifteen letters. Any excess mail can either be placed into the inmate’s property by the block officer or disposed of by the inmate. 6. Incoming mail without a complete and legible return address showing the name and address of the sender will be returned to the postal service. 7. Four (4) envelopes are contained in each indigent pack to be used for the inmate’s legal mail. Envelopes left over may be used for personal mail. Large envelopes will be furnished to indigent inmates for legal mail when the legal correspondence will not fit into a standard envelope. 8. Inmates will not be allowed to read or look at incoming mail that contains any unacceptable items. These will be returned to the postal service. Unacceptable items in incoming mail may include, but are not limited to; photographs, graphics of any kind, hand-drawn pictures, greeting cards, copies of greeting cards, stamps, envelopes, magazines, copies of magazines, newspaper articles, copies of newspaper articles, internet pages, copies of internet pages, books, copies of books, stickers, glitter, perfumed letters, legal discoveries, boxes, parcels, packages, commercial mail, lipstick on letters, postcards or envelopes and letters written in colored ink, pencil, marker or crayon. 9. Acceptable mail may include, but is not limited to; letters handwritten in black or blue ink. Letters typed on a computer or typewriter, legal paperwork typed or written, letters written or typed on white lined or unlined paper, letters written on yellow legal pad paper, absentee ballots, tax forms and internet printouts with Indiana Codes or Federal/State Case Citations. Cash, US postal money orders only, certified checks, government or payroll checks from a recognized employer and drawn on a local bank, will be accepted and credited to the appropriate inmate cash account after the legitimacy and funds have been verified and properly endorsed by the inmate, at which time they will receive a receipt. All mail will be approved or disapproved by the Inmate Mail Officer or shift command. This policy is subject to change at any time.